The population of people affected by a number of neurological conditions has expanded at a rapid pace in the past few years across the globe, making these diseases a leading cause of disability. For the better understanding of these conditions and for the development of more effective personalized medicines, neurology biomarkers have thus been gaining increased attention from the world research fraternity. Neurological conditions are mostly diagnoses with the help of markers such as the clinical history of the patient, cognitive testing, neurological examinations, and structural MRIs. However, there are circumstances when the identification of a certain biomarker is necessary for understanding the diagnosis of the condition. Biomarkers are also needed for measuring and evaluating a physiological or pathological indicator for the pharmacological response to a mode of treatment in patients, thus acting as a key basis of developing personalized medicines. In the past few years, vast improvements have been observed in the understanding of the occurrence and the development of neurological diseases at genomic and epigenomic levels. This has led to rapid developments in the field of neurological biomarkers for the diagnosis of diseases with specific emphasis on the development of personalized medicines. With the rising global demand for personalized medicines, the global market for neurological biomarkers is expected to steadily rise in the next few years. The vast advancements observed in the healthcare industry and the biomarkers market in the recent years, a number of new companies have forayed into the market. The market for neurology biomarkers has thus witnessed vast advancements such as the introduction of genomics for the better examination of neurological conditions at the generic level. In the next few years as well, the market for neurological biomarkers is expected to exhibit a promising pace of development. This report on the global neurological biomarkers market is a comprehensive market intelligence study that brings forth the lucrativeness of the said market. Beginning with an executive summary that comprise a snapshot of how the demand for neurological biomarkers has evolved over the recent past and where is it headed to in the future, the report delves into the analysis of various market dynamics, such as opportunities, trends, challenges, and drivers. A detailed overview of the said market with the analysis of porter’s five forces has been provided in a bid to present a concise and clear landscape of the market vendors to the readers. The market intelligence study also points at mergers, important conglomerates, numerous research and development activities, acquisitions, and corroborations. The said publication allows market stakeholders to study the market in detail and carefully and take well-informed decisions so as to optimize profit and minimize cost. Biomarkers are components that are utilized for the purpose of measuring biological states. By definition, a biomarker refers to a naturally occurring gene, molecule, or characteristic by which a particular physiological or pathological process, disease, etc., can be identified. Neurological biomarkers are generally used in the identification of an array of different diseases such as Parkinsons disease, autism, multiple sclerosis, and many others. The introduction of newer and better neurological biomarkers augments the growth of the world market for neurological biomarkers. In addition to that, expansion in application, technological developments, and rise in the incidence of neurological disorders such as Alzheimers and Parkinsons disease are major factors that have been impacting the world market for neurological biomarkers positively. 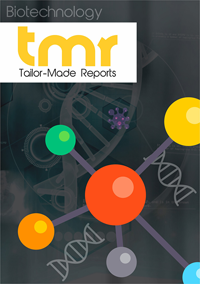 The market vendors have been forecasted to obtain new opportunities as there has been an increased emphasis on spending more on the work of research and development by many of the neurological biomarkers manufacturing companies thereby driving further growth of the said market. In addition to that, many of the market participants are anticipated to make a foray into the emerging economies that are yet to be explored so as to find new opportunities. The geographical segmentation of the world market for Neurological Biomarkers is divided into Europe, North America, Latin America, and Asia Pacific. The region of North America comes with a major revenue share in the neurological biomarkers industry as many of the prominent market players are present in this said region, increasing number of projects related to the research & development activities are being carried out and increased government funding received by academic universities to undertake research. Asia-Pacific is estimated to be one of the fast growing regions as the region makes with an offering of huge based of population, huge aging population, entry of new market players, and high incidence rate of neurological abnormalities. In many of the developing economies such as China and India, new market players are making efforts to establish their market presence by developing the generic version of the biomarker, via contract research organizations. This has further assisted in the reduction of the manufacturing cost for the company and various other production related cost. A few leading market players that are operating in the world market for neurological biomarkers comprise eminent names such as Cisbio Bioassays, Proteome Sciences, Myriad RBM, Acumen Pharmaceuticals, QIAGEN N.V., Athena Diagnostics, Thermo Fisher Scientific, Abiant, AbaStar MDx, and Aepodia.